Nosipho Mkhupheka is a public servant who has set tongues wagging for all the right reasons. The unassuming home affairs official has earned the praise of many people after news of her work ethic made its way to Facebook. Mkhupheka, a chief administrations clerk at the department’s offices in Scottburgh, stayed behind after normal working hours to assist about 40 people who could not be helped during office hours. She is setting the bar high for other public servants. One of those she helped was Facebook user Marius Botha who then sang Mkhupheka’s praises on his social media page. The post read: “I want to thank Mrs Mkhupheka for her unselfish and exceptional service beyond the call of duty. Mkhupheka was alerted to the trending post by her sister while she was in church. Her children also kept calling to let her know she was trending on Facebook. “They kept on calling to tell me I was trending and I was asking my sister what is ‘trending’. It was the first time I even heard of the phrase ‘trending’. I was so confused,” she told Vuk’uzenzele. 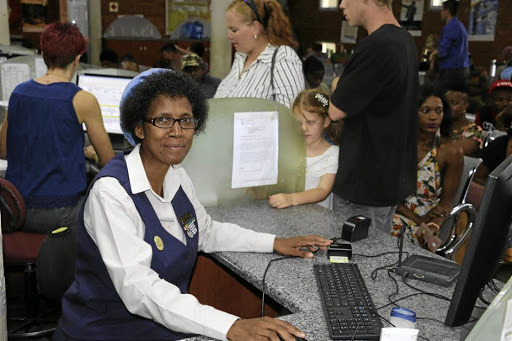 Reflecting on the attention she has received since the Facebook post, Mkhupheka said February 8 was a normal day for her as she always stays behind with some members of her team to ensure that those who were already in the queue when the office closes are helped as well. During his visit, Cwele commended Mkhupheka for her dedication. “Ms Mkhupheka is one best example of the thousands of home affairs officials who are dedicated to serve our people with a smile. When I arrived, the office was full and she was still assisting our citizens. The people who were there at the time I arrived said they appreciated her work,” said Cwele. For Azama Damas, a matric drop-out, the march to Parliament yesterday was about highlighting the plight faced by fellow matric pupils who were refugees in South Africa. The march coincided with World Refugee Day which is observed on June 20 each year to honour the spirit and courage of millions of refugees worldwide who have had to flee their homes and countries due to violence, war and other conflicts. The 19-year-old Democratic Republic of Congo (DRC) national was supposed to be doing her matric at Focus College in Wynberg. She had hoped to be admitted to Stellenbosch University next year. Instead she is heartbroken at home as she doesn’t have documents. Damas came to South Africa at a young age with her late father who had a permanent residency. Her father died four years ago. Her mother is in DRC but cannot afford to travel to South Africa. The Voice of Africans for Change was at the forefront of the march which saw people from about six countries. They protested for their human rights and called for the Department of Home Affairs to “stop defeating the ruling of the Supreme Court of Appeal” and reopen the refugee reception office in Cape Town. The Supreme Court of Appeal last year ordered the department to reopen the reception refugee office in Cape Town by March 31 of this year. The office was yet to open, the group said. Nijimbere Luqman, 32, from Burundi, said he was forced to leave his home due to war, persecution and violence. Making a speech at Constitution Hill, Johannesburg, yesterday, Home Affairs Minister Malusi Gigaba said that over the years South Africa had become one of the largest host countries for refugees worldwide, with more than 126000 refugees recorded since 2009, and many more asylum seekers. “As we stand #WithRefugees, we must reflect on the enormous disruption and difficulty faced by refugees and displaced persons, and highlight the need to assist them by providing a safe place, and welcoming them into our communities, our schools, and our workplaces. “South Africa remains committed to protecting refugees and strengthening our institutional arrangements in this regard. “Accordingly, we are in the process of updating our policies and regulations with regard to international migration and refugees. ‘‘We intend further to strengthen our capacity to speedily process asylum claims through various interventions which are complemented by our new international migration policy which seeks to address the challenges occasioned by the large number of economic migrants who abuse the asylum seeker process to regularise their stay in South Africa,” Gigaba said. He said in recent years, “spurious asylum” applications by economic migrants overwhelmed the system, resulting in inordinately long wait times for decisions for applicants. “This made it extremely difficult to identify and respond to the needs of genuine refugees. Sources: Okuhle Hlati via IOL . Image sources: . 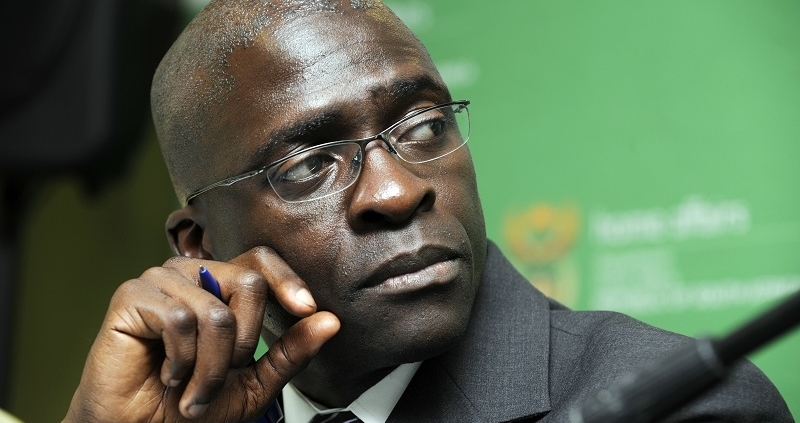 Home Affairs Minister Malusi Gigaba has bemoaned red tape and a ministerial revolving door that make it difficult to push through policy changes. 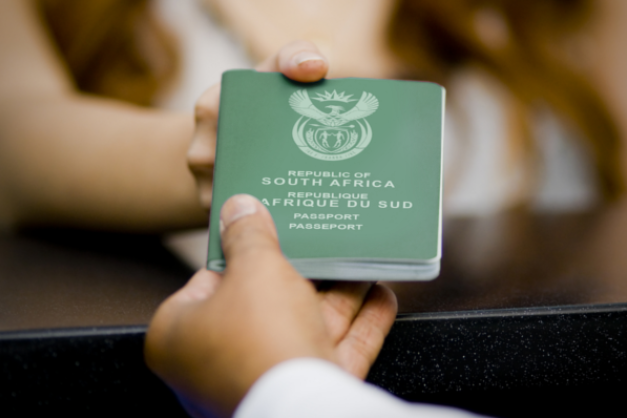 While the Department of Home Affairs had ambitious plans to make the department completely paperless, to review critical skills work permits and to manage SA’s borders, it was difficult to make changes, he said. “The immigration act couldn’t deal with a number of challenges, we need a new policy framework,” he said. One of the problems that needed to be addressed was that students from other countries who study scarce skills in SA are then lost to the workforce because they struggle to get documentation allowing them to stay. “The manner in which the last white paper was drafted, didn’t allow us to attract critical skills. Students who studied critical skills here would leave and we would lose those skills,” said Gigaba. Changes that are in the works would allow students to skip certain stages to get permanent residence immediately, he said. A new white paper on immigration was passed in 2017 but implementation will take the next two years. It is intended to make criteria for immigration clearer, and make it easier to apply and submit documentation. Criteria for permanent residents to acquire citizenship will also be made clearer. It also aims to create a clearer distinction between the citizenship process and the refugee regime, and to create a more durable refugee system. 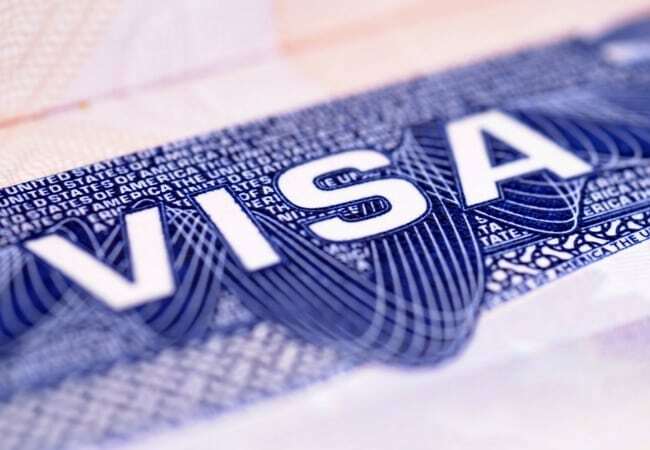 “We are also looking at introducing long-term visas for low-skilled migrants from the Southern African Development Community region,” Gigaba said. 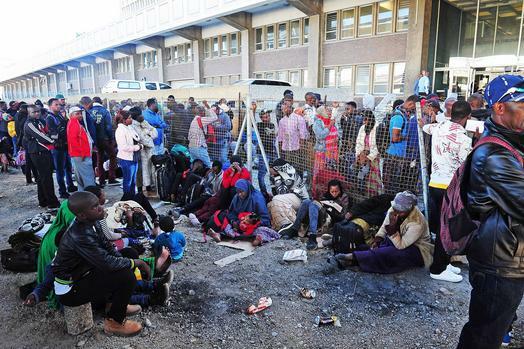 Gigaba said economic migrants abused the asylum-seeker system instead of seeking regularization. Sources: Sunita Menon via BusinessDay . Image sources: . A total of 10 million smart ID cards have been issued to South African citizens in the past five years, Home Affairs Minister Malusi Gibaba said on Wednesday. “When the first card was issued, in 2013, around 38 million people had green-barcoded IDs. I am pleased to announce, we now have issued 10 million smart cards. 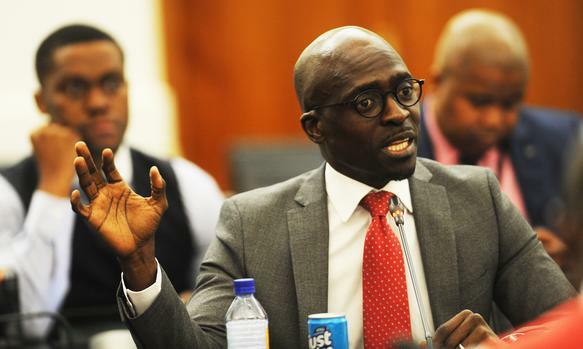 This, in spite of challenges in infrastructure, systems and staffing,” Gigaba said in a media briefing ahead of tabling his budget vote in Parliament. The 10 millionth recipient of the ID smart card, Nomthandazo Maweni, was present in Parliament where a ceremonial handover of her new identity card was done. Gigaba said while the department had come a long way, it would probably have to revise its target of totally eradicating the bar-coded IDs in the next five years. “Of course, if you look at where we started in 2013, we have been picking up momentum but it is likely that we would not have reached 38 million conversions by 2023,” he said. Sources: Chantall Presence via IOL . Image sources: .